The Old School, Lyneal is owned by Girlguiding Shropshire, who purchased the property in 1994. It has been converted into a residential centre, fully equipped for 24 people. It is situated in the north of the County and is around a 30minute drive from Shrewsbury. It is suitable for groups of all ages. The ground floor is fully accessible and the upstairs dormitories are carpeted and equipped with mattresses, mattress covers and pillows. The Lyneal badge, available from the shop in the leaders’ room has been restocked in a new colour. Badges are available to all who use the Lyneal centre, at a cost of £1 each. 8 guides from across the County spent the weekend at Lyneal for their BP Adventure. The girls from Hodnet, Whitchurch, Shrewsbury and Pontesbury took part in a variety of activities including getting the opportunity to steer the narrowboat “Shropshire Lad”. The group took it in turns to “walk and then float” along to Ellesmere before enjoying a second day of craft and activities. All were presented with their BP awards and Adventure Awards. Congratulations girls! A group of Guides from Whitchurch and Prees recently stayed at Lyneal and spent the day doing a Walk and Float to Ellesmere, a local town. All the Guides took a turn at the helm of the boat under the watchful eye of the “captain” Harewood Berry. A thoroughly enjoyable day was had by all! This large space is suitable for a wide range of activities and crafts. There are ample chairs and tables available. 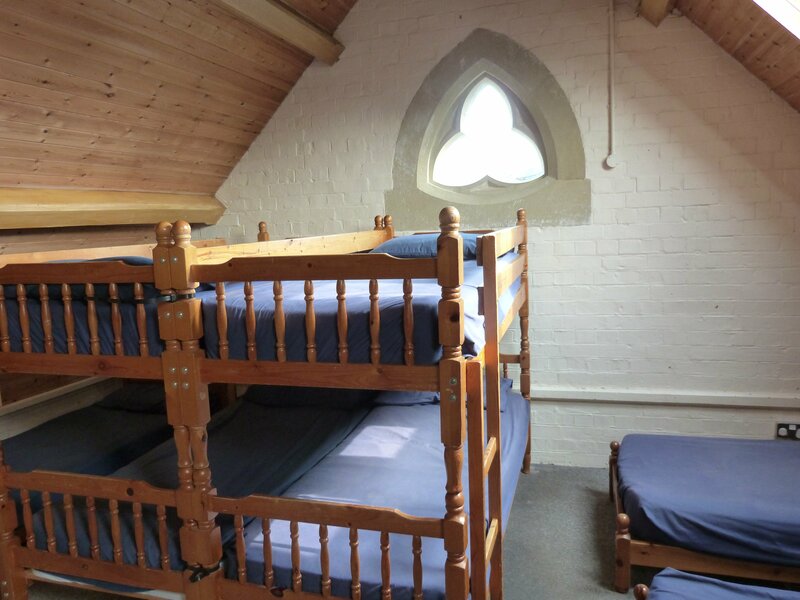 Dormitory 1 has 3 sets of bunk beds and 1 single bed. Dormitory 2 has 2 sets of bunk beds, 4 single beds, and 3 chair beds. Leaders' room has 1 set of bunk beds, two single beds and 2 chair beds. The kitchen at Lyneal is big enough to enable Brownies and Guides to prepare and cook in groups. There is secure outside space, enough for groups to play with the playground equipment provided. 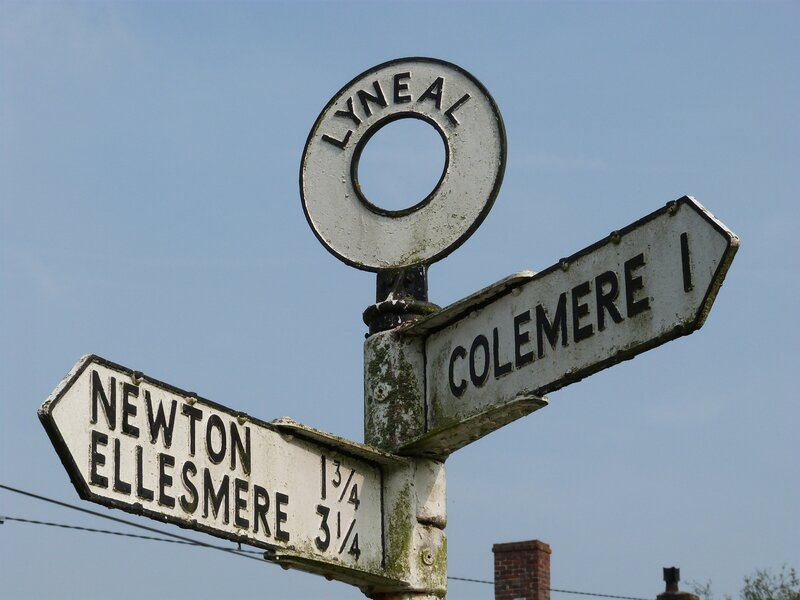 Lyneal is closely located to Colemere Lake, which has a short, circular walk and picnic area. Become a friend of Lyneal for just £10 per year. See the application form for more details. 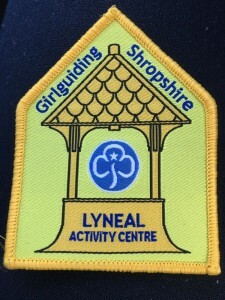 Lyneal Activity Centre is available for hire by all sections of the community, not only Guides and Scouts. Please select the relevant booking form below.